He has not answered that question, nor commented on the matter since leaving the station last Wednesday, according to the Orlando Sentinel. Cocchiarella said this on his Twitter account, but has not directly referenced the issue since. Some industry insiders suggest Cocchiarella left because he didn’t get the chief meteorologist job left when Jeff Day was let go. 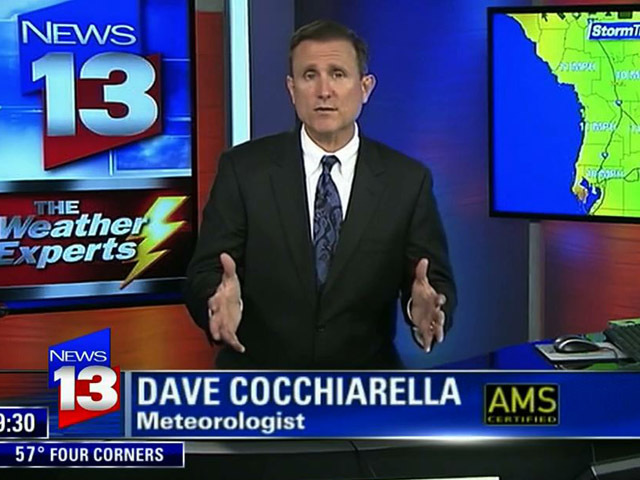 Florida News Center says Cocchiarella’s decision could also have been prompted by possible merger rumors between News 13 and Tampa Bay’s News 9. Cocchiarella had been with News 13 for 16 years.